TCC Charter Chapter Coordinator Michael Sholer presents Robert Bonifas with a globe commemorating his completion of the TCC Country List of 325 destinations. 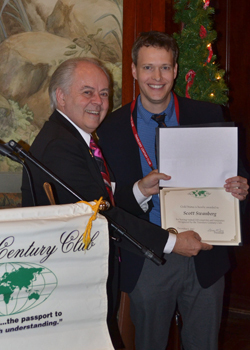 Scott Swanberg receives his certificate acknowledging his visit to 200 TCC Countries and Territories. 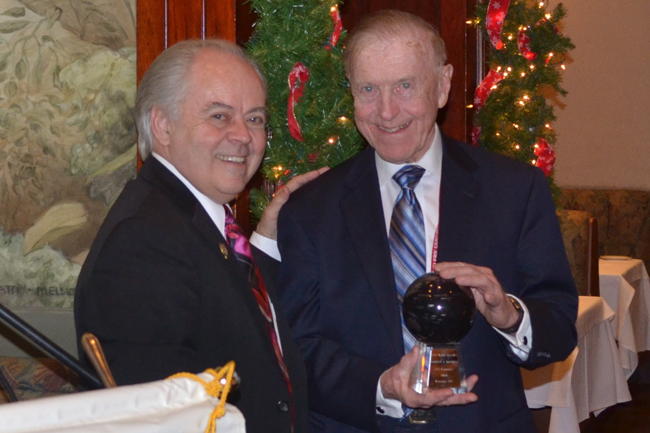 Long-time TCC member Robert Bonifas, of Illinois, was presented our club’s ultimate award — a crystal-based, solar-powered, rotating globe — for his achievement in completing our Country List of all 325 destinations. 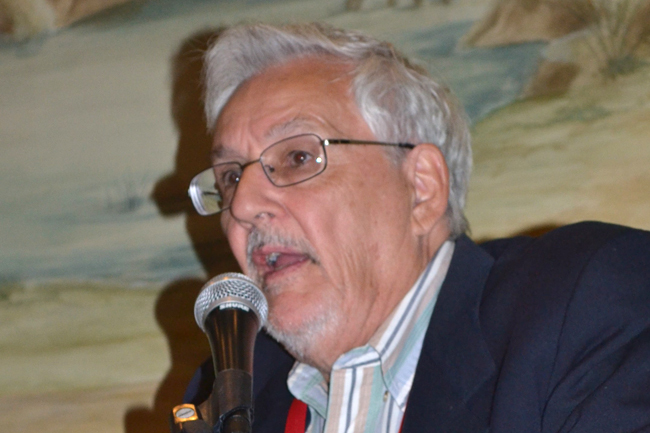 Applauded by nearly 90 members and guests at our Charter Chapter’s Dec. 9 meeting in Beverly Hills, Bonifas earned this recognition when he finally made it to the British Indian Ocean Territory (BIOT) last February after several previous attempts. Another milestone accomplishment was recognized when Scott Swanberg received his 200-Country certificate and pin following his visit to Corfu (Ionian Islands). Later, Pierre Odier presented a fascinating program on his unique journey to Siberut Island, off the west coast of Sumatra, where he documented the Mentawai people, one of the world’s “vanishing tribes” of semi-nomadic hunter-gatherers. Side trips to Flores and Komodo islands were also featured. 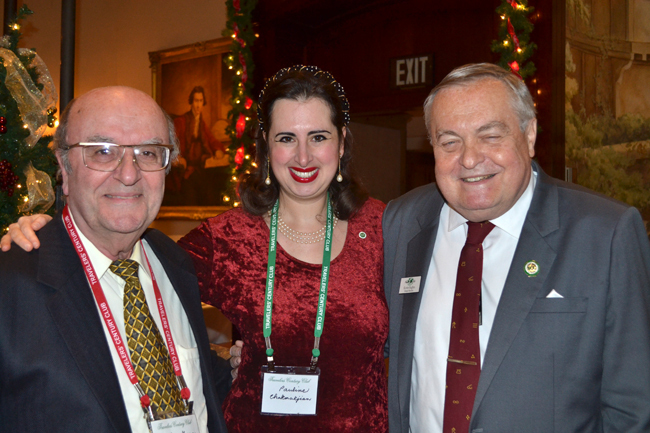 The Annual International Holiday Meeting drew members and visitors from Illinois, Missouri, New York, Hawaii, Canada, New Zealand and Kuwait. Featured speaker Pierre Odier shares his adventures among the Mentawai people on Indonesia’s remote Siberut Island. 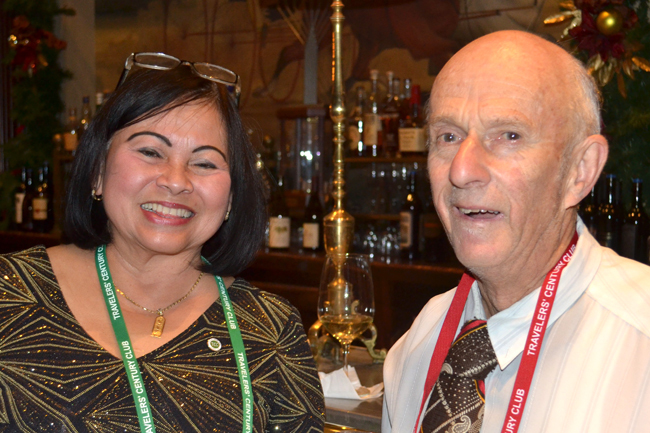 New Zealand member David Horne shakes-off “jet-lag” in pre-lunch conversation with Jazmin Gaite. 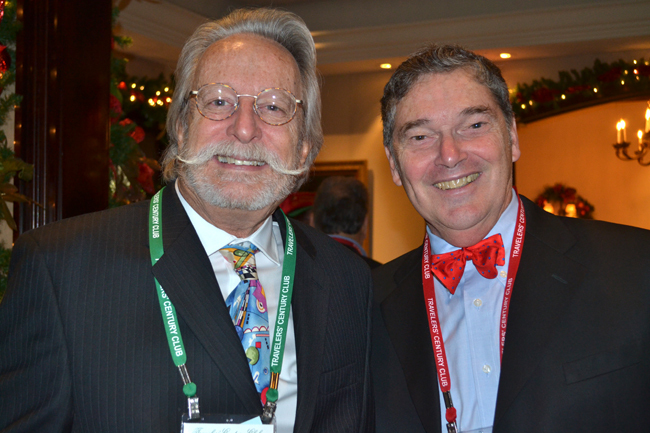 Past presenter Dennis Trombley and his guest Gene Smith compare holiday colors. 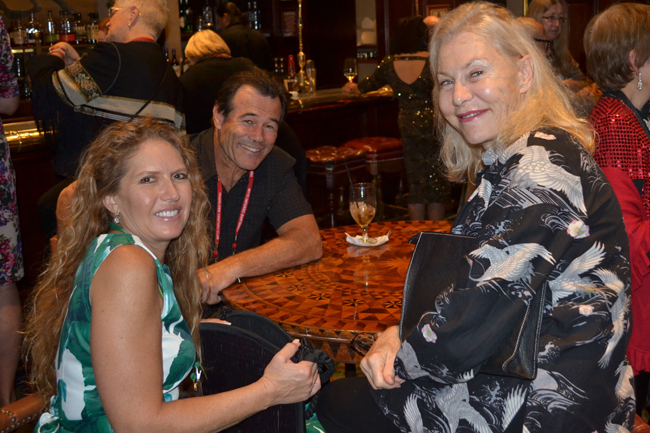 Brad Grant, his guest Monee Gagliardo and visitor Marilyn Heller swap travel tales in the lounge. Hawaii member Pauline Chakmakjian introduces her father, Dr. George Chakmakjian, to TCC Secretary Kevin Hughes. 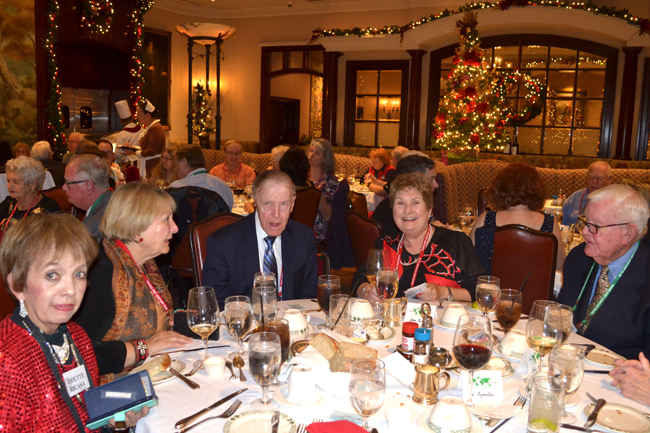 Odette Ricasa, her guest Annette Mann, Illinois honoree Bob Bonifas, new provisional member Joan Lutz and veteran presenter Bob Ihsen celebrate Bonifas’ accomplishment. 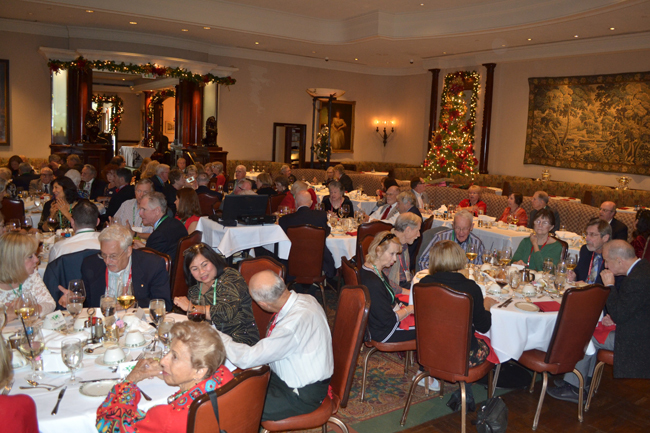 Part of the overflow crowd of 90 members and guests enjoying our Annual International Holiday Meeting at the festively-decorated Lawry’s The Prime Rib.